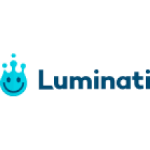 Luminati is a proxy network for businesses and individuals. It is one of the largest such networks in the world. It ensures IPs are never cloaked or blocked. The company offers a seven days free trial. With millions of IPs, Luminati allows companies and individuals or residential users to have access to any number of IPs anytime and anywhere. There are around thirty two million IPs across all countries in the world, covering almost twenty seven thousand cities. The whole solution is a turnkey setup, it is scalable and there are different pricings depending on the plans for specific needs.